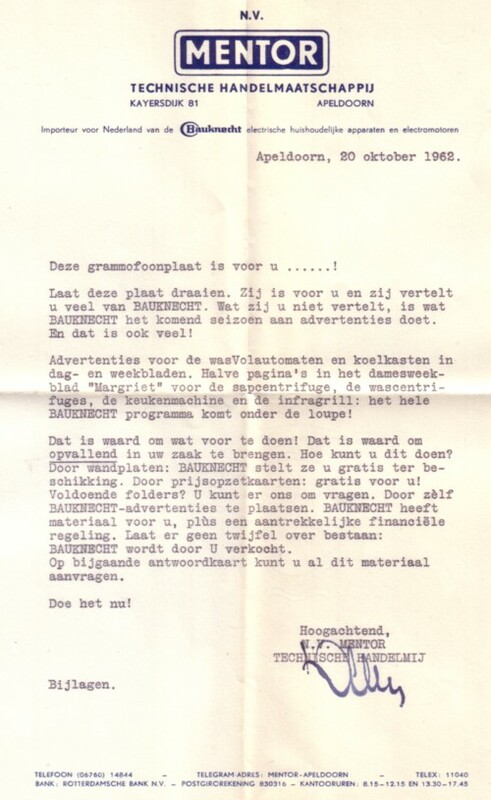 Some Dutch advertisement records, as they were made in the 60’s, were sent over the mail. These records were meant for the sellers of the advertised products, and therefore many of these records had a very small edition. Not that they are in big demand nowadays: on most of these records is only a talk about the product. But even those records I love. 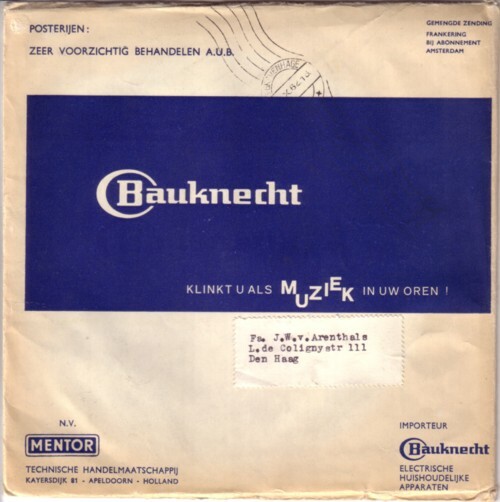 That is all I know on this Bauknecht record. And the same goes for many advertisement records in my collection. It is not easy to find people who share an interest in this stuff!